Its so difficult to stay of sugar, every time the craving comes back with an excuse to eat something sweet. But I have consciously made an attempt to avoid the white refined sugary products and opt for sweet healthy alternatives. 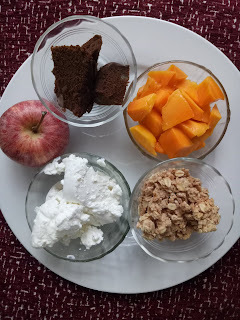 The next best alternative is honey however I prefer to sweeten my desserts with natural fruits like mango, papaya, grapes that have equal amount of natural sugars.Raisin and dates are another good option. Today I have stirred up an oats granola mix with curd, apple and mango dessert. I also used some left over walnut cake I recently brought back from Pune. You can use some digestive biscuits or give it a miss if you wish. 1. To make hung curd - You need to put regular curd in a muslin cloth and let it hand till the water of the curd oozes out. The curd will thicken and become half the size. 2. 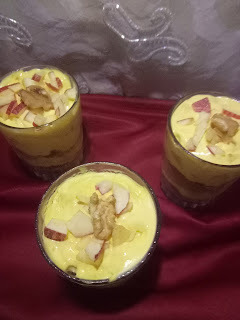 In a blender, whisk the hung curd and mango pieces to make a paste. Do not add any water. This will be mildly sweet, if you want it sweeter you can add a tablespoon of honey. 3. Wash the apple thoroughly and chop it into extremely small pieces. 4. Take dessert glasses of your choice, you can even take shot glasses or regular glasses. Add the cake crumbs to the bottom and press it with the back of spoon. 5. Add a layer of curd mix, lightly bang glass for layer to even out. 6. Now add a layer of oats and apple pieces. 7. Repeat the layer of cake, oats and curd. 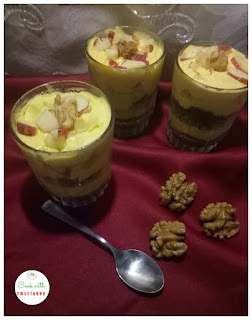 Lastly again top with chopped apple and garnish with walnut. 1. Add some chocolate to the curd, kids will love it. papaya and musk melon have good quantity of sweetness. 3. You can use a wine glass for setting the dessert. 3. If you don't have cake then use digestive biscuits. 4. The oats can be mixed with almonds and walnuts to make a crunchy layer. 5. 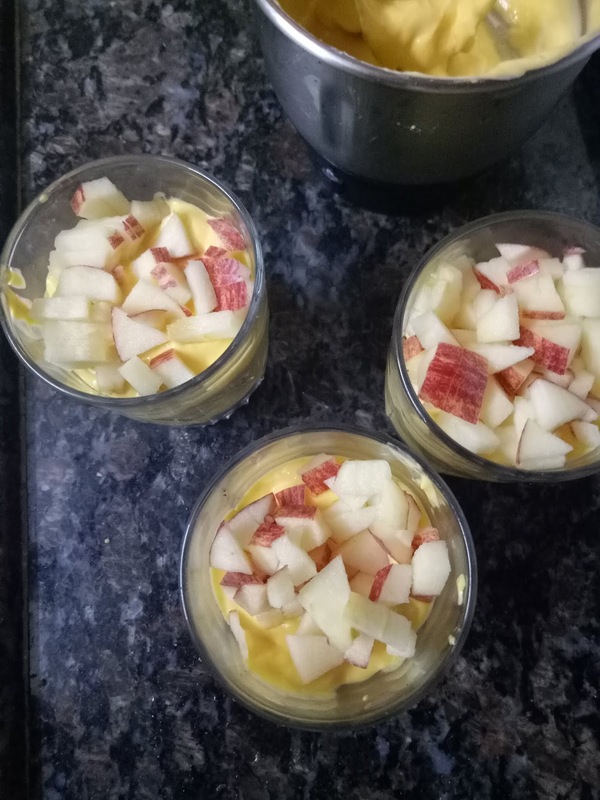 No curd, use custard. The options are endless. Its all about enjoying what you make and serving it with pride. 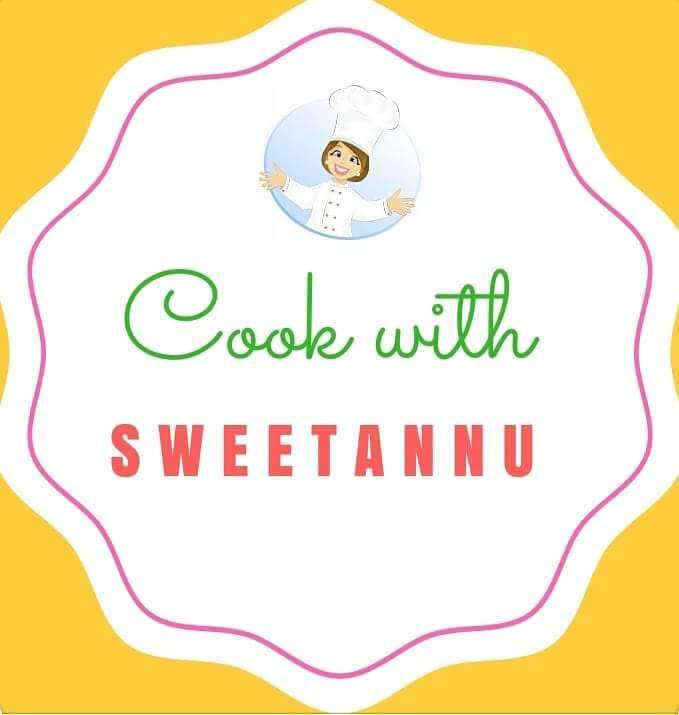 So enjoy cooking and Cooking with Sweetannu. If you have any suggestions or variations then so write in the comments below. Curry leaves are the leaves of curry plant and are often used in Indian cuisines . Curry leaves are extremely aromatic and are available throughout the year. These leaves also contains many nutritional value as these leaves provide vitamin A, vitamin B, proteins, carbohydrates, amino acids, fiber, calcium etc. Fresh curry leaves can be fried in oil to add depth flavour at the start of cooking. Curry leaves can be consumed as raw by making raw chutney. Fish with curry leaves is an authentic fish curry recipe of Assam. 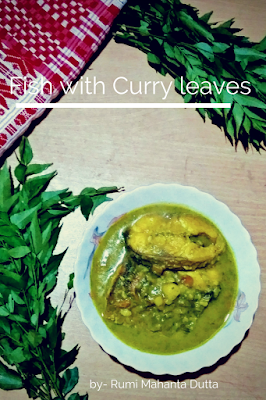 Curry leaves in Assamese known as Narasingha. Here in this recipe I'm using fresh curry leaves paste. We Assamese people use less spices in our cooking. 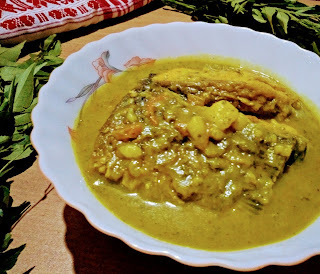 So this fish recipe is cooked without any powdered spices and that's why is a very healthy recipe. Separate curry leaves from the stems. Wash curry leaves under running water. In a grinder jar take the curry leaves and green chillies. Add 1/2 cup of water and grind it to make a paste. Strain the curry leaves paste through a strainer. Keep the liquid portion in a bowl and discard the remaining. Keep aside. Peel of the boiled potato and mashed it properly. Keep aside. Wash fish pieces under running water and rub with salt and turmeric. In a pan heat oil. Fry fish pieces. Drain and keep aside. In the remaining oil. Add chopped garlic cloves . Add turmeric. 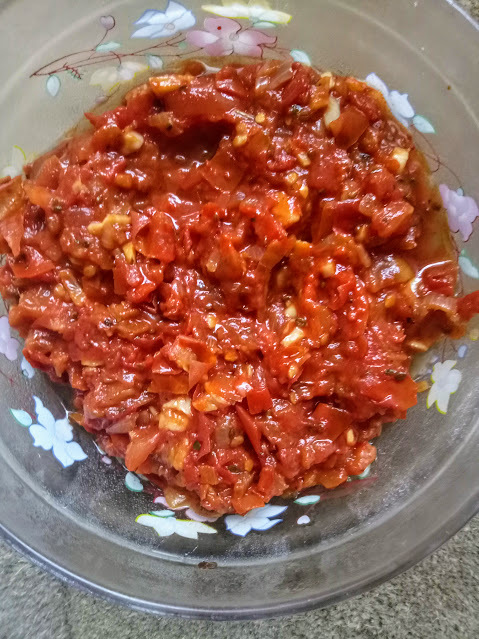 Add chopped tomatoes and mashed potatoes. Mix well. Cook for sometimes until oil separates. Now pour the curry leaves' liquid into the pan. Mix well. Add 1 cup of water. Bring to boil. 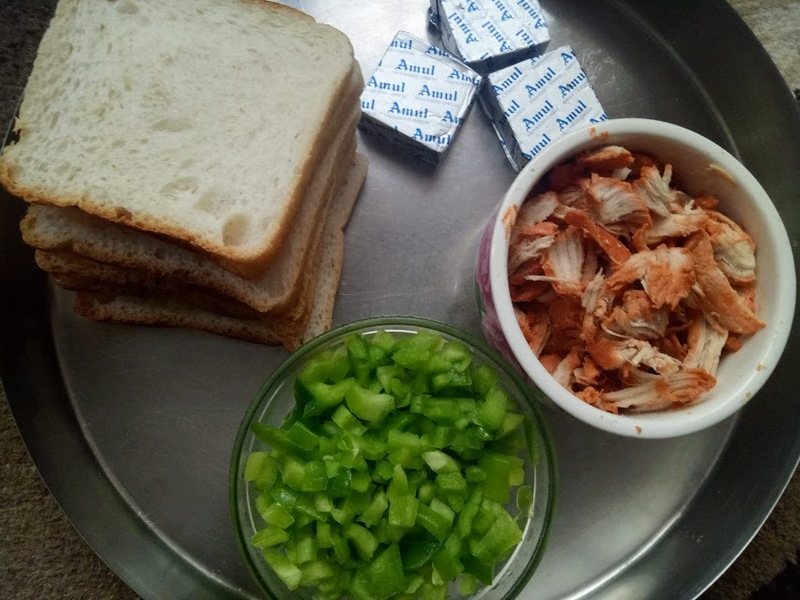 Add fish pieces. Again cook for few minutes by covering the pan in medium heat. 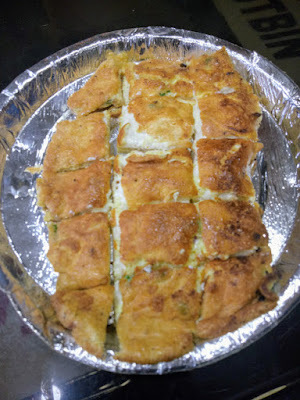 No trip to Mussoorie is complete without a visit to the little LOVELY Omelette Store, right in the middle of Mall road. This place is owned by Mr. Khurshid Muhammad,he has been serving unique preparations of omelette that various travel magazines acknowledge as the best. Its truly a Surprise and Delight for Egg-enthhusiasts! Just got nostalgic about over our recent trip, also craving to eat that delicious Lovely Omelette. 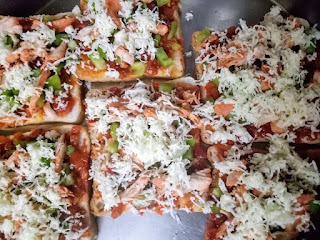 I checked out the exact recipe and even tried to replicate it at home. No fancy ingredients in this recipe. 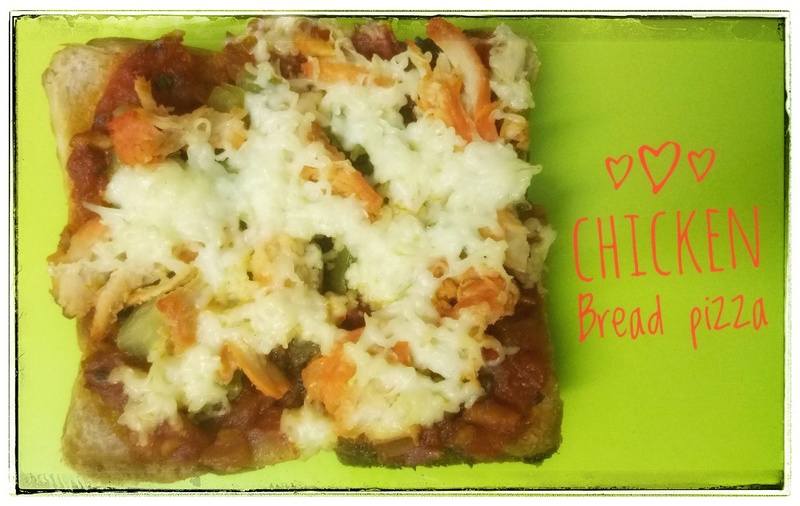 The special ones are with cheese, chilies, onions and spices, served with a a slice of bread inside it. And the most intriguing part is that, if I didn't tell you, your taste buds would never actually know that there was bread in it. 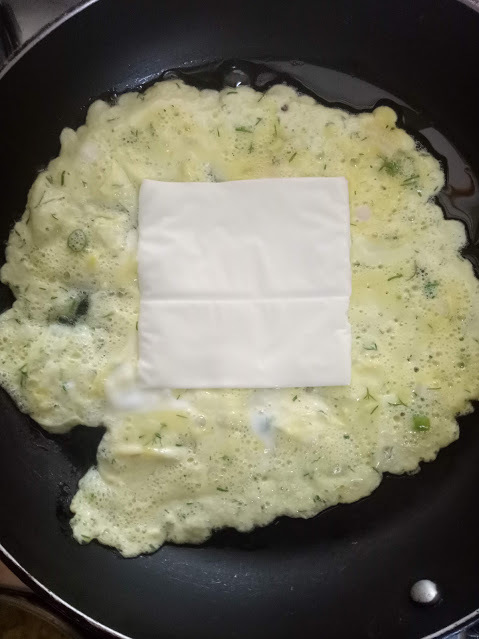 In the video you can check the owner making this delicious Lovely Omelette. 2. Whisk with a fork, add salt, pepper, half a chopped onion and chilly. 3. Now comes the tricky part. Take a pan and add oil to it, put it on low flame. 4. 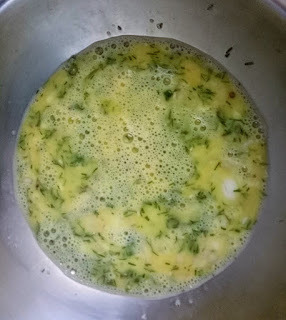 Once the oil is hot, add the egg mixture and spread it to the rim. 5. Now place the slice of cheese in the middle and the bread slice on the cheese. 6. Fold the parts of omelette over the bread to cover it. 7. Flip it and cook on the other side, press to see if egg is cooked through. 8. Transfer in the plate, cut into squares and serve. 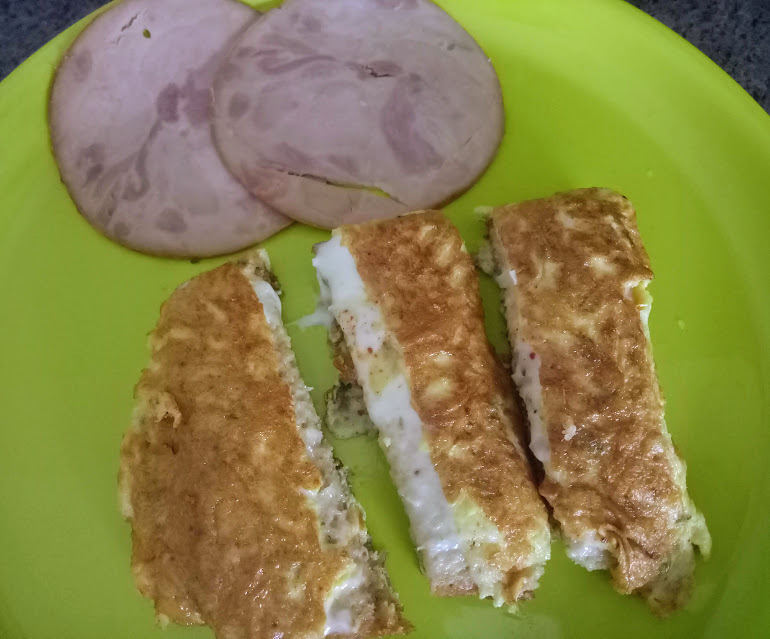 I did well for the first attempt to replicate this Lovely Omelette. It turned out soft, full of cheese, gooey on the inside..melted in your mouth. What else can you ask for??? 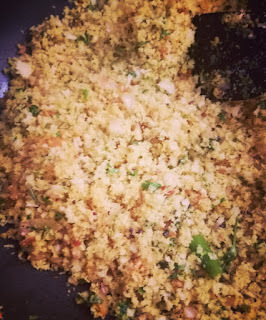 Yummy Bread Upma for Breakfast. 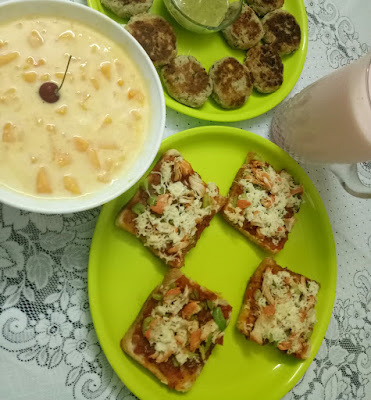 Hope you all are all set to enjoy your Sunday with good food just like me. However a few days back, I decided to cut down refined flour and sweets, while trying to eat light and healthy. And I am happy to announce that it is working out well with me. But today being Sunday, it's cheat day. And on cheat day you can indulge a wee bit. Isnt it? She took out loaf of bread from the fridge and powdered it in the food processor, mixed in a few basic spices and voila, a delicious Bread Upma was served up for tea time. The secret of a good recipe is less ingredients. 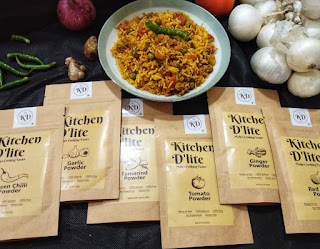 It truly enhances taste and brings out flavours of main component used to prepare the dish. 1. Chop up the onion, green chilly and corriander leaves. 2.Whiz up the bread in a mixer to a fine powder likes consistency. 3. Take a kadai or non stick pan, heat oil. Add the mustard seeds and let them crackle. 4. 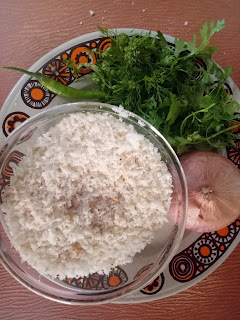 Add the cumin seeds, onions and green chilly and cook until onions are transparent. 5. Add the bread mixture and mix well. 6. Now add salt to taste, pinch of sugar, corriander leaves and lemon juice. 7. 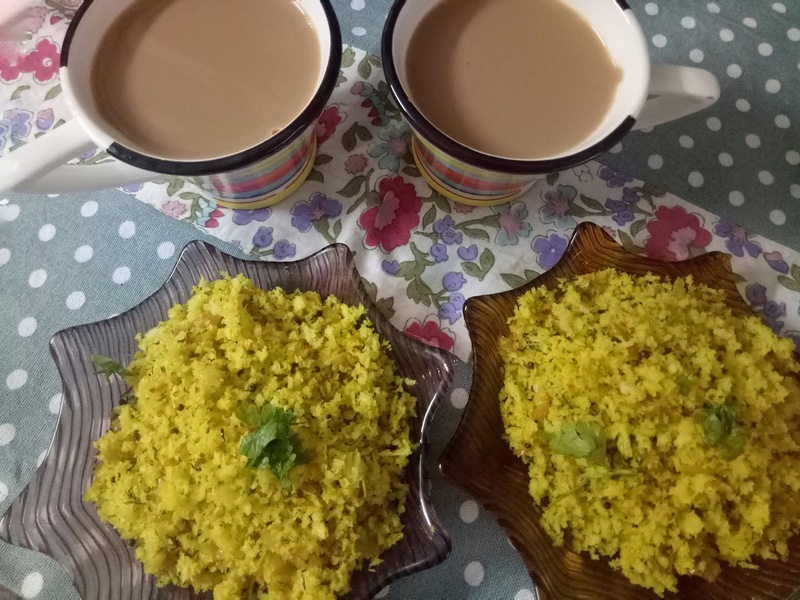 Serve hot with tea or coffee. You can add green peas or carrots to the onion frying stage to enhance nutrient value to the dish. I am so glad my recipes are being appreciated. This is motivating me try more interesting dishes which I can share with you all. Basically I don't like to spend too much time in the kitchen yet want to plate something interesting at meal time. That is my main theme behind my recipe posts. Sometimes my husband and me are happy having soup and sandwiches for dinner instead of the routine sabzi roti. 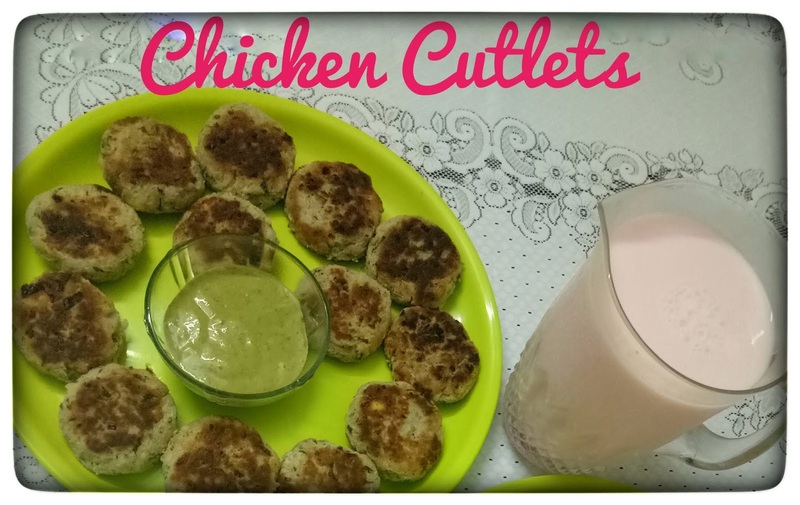 So mid week, I tried out an easy chicken cutlet recipe. While adding ingredients that are semi cooked, you don't have to deep fry the cutlets. So check out the ingredients and recipe below. 2. Boil the potatoes and mash it. 3. Now shred the chicken, add the mashed potato and bread slice. 4. 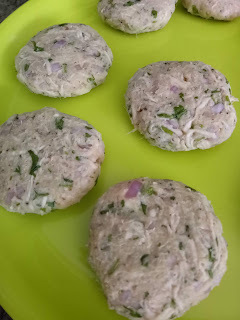 With a heavy hand knead it like a dough, mix in chopped onion, chilly, coriander leaves, garam masala and salt to taste. 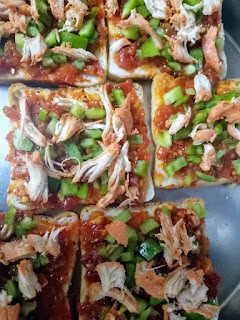 (taste and add salt as salt is present in chicken and bread too). 5. 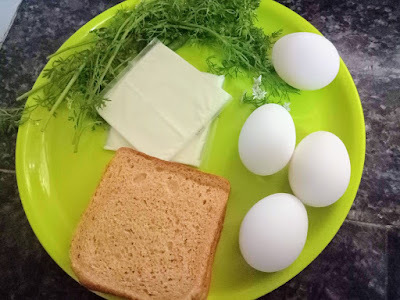 Egg is the binding agent so that the cutlets dont fall apart while frying, There are two variations to mix in the eggs. You can mix it in the dough or beat it and coat it in egg while frying. I personally like the second variation as it gives a good egg coating to the cutlet. 6. 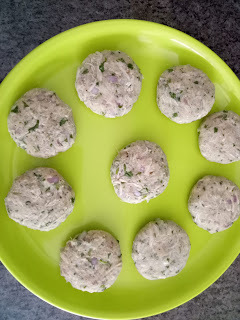 Now shape the cutlets in round shapes. 7. Dip into the beaten egg and shallow fry in a pan on both sides till golden brown. 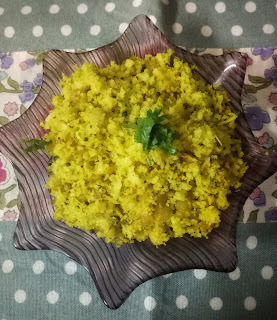 Serve it with ketchup or chutney and enjoy it garma garam. And if Rain Gods shower their blessings you will enjoy it even more in the awesome mausam. So it's the month of Ramadan and during this month, Muslims traditionally fast daily from sunrise until sunset. After that they break their fast. The meal is known as iftar, is the most important part of the day. They break their fast with some khajoor and water, later savour home made delicacies and falooda to cool down. 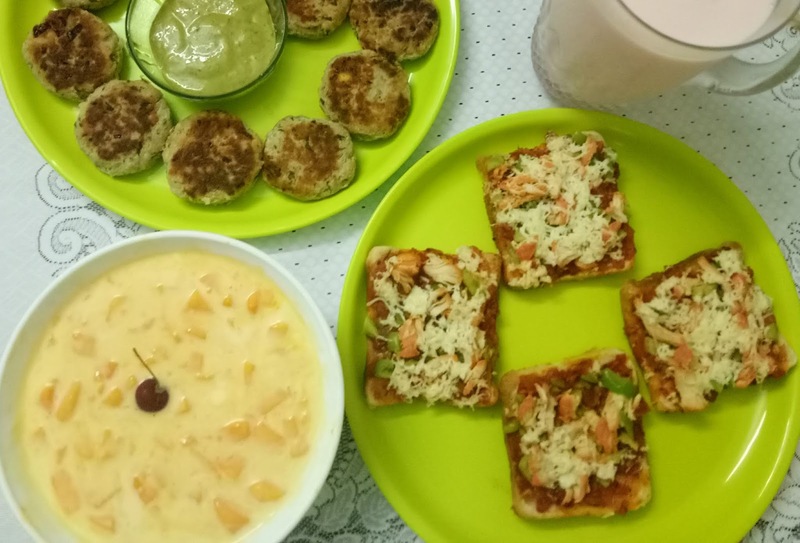 Every year, I prepare some Iftaar treats for my neighbours and friends. 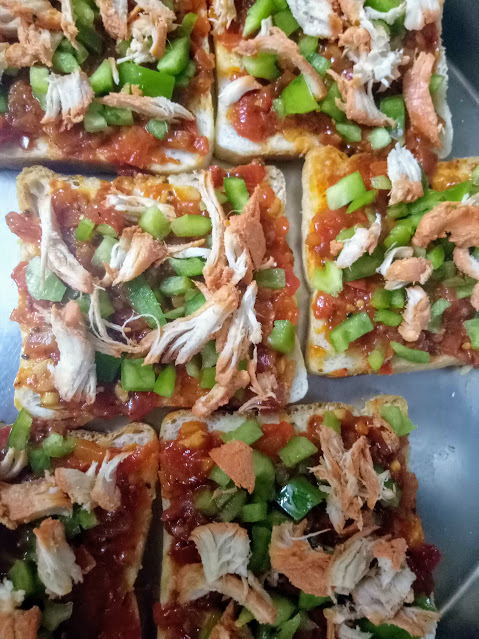 This time I tried to make a chicken pizza with bread. 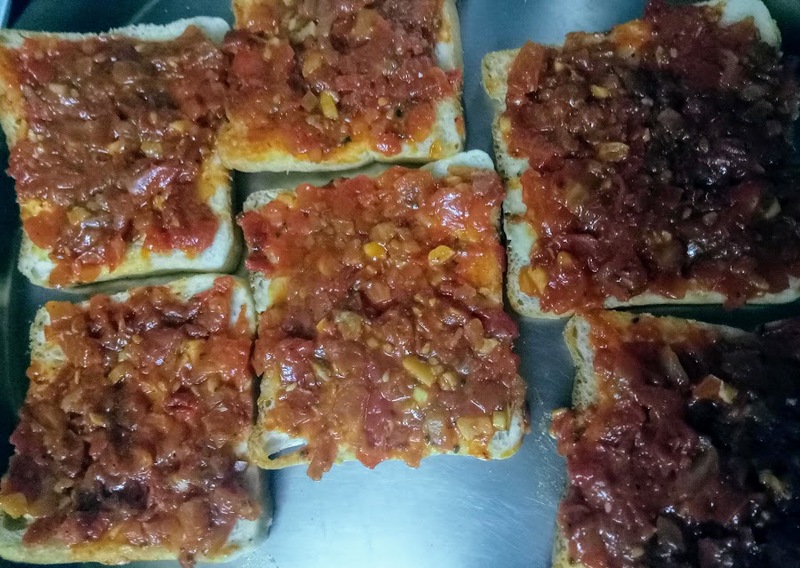 But even the pizza sauce was made at home. The steps look elaborate but its not the case. 1.Take a pan, add oil and saute onion and garlic until tender. 3.Let it cook on slow fire for 30 minutes. Preheat oven at 250degrees/ you can use a deep bottom fry pan with a lid too to make this bread pizza. Butter each slice of bread. 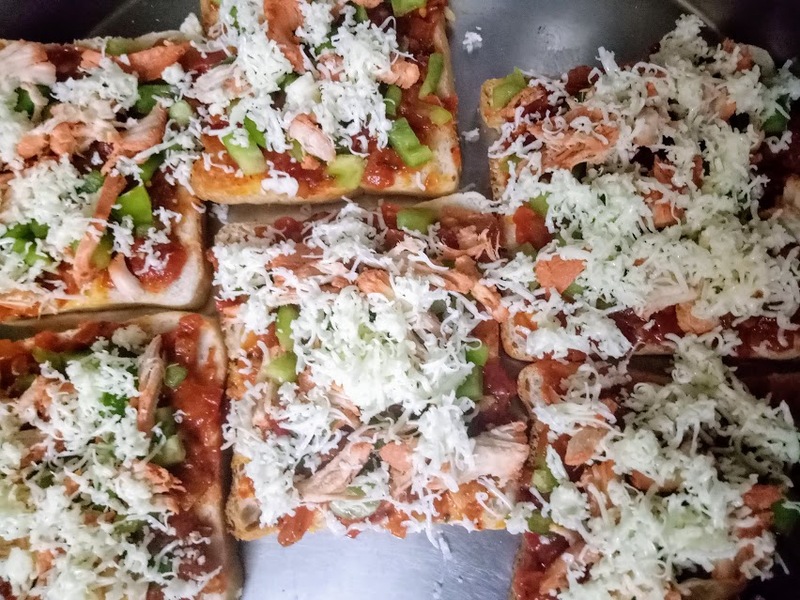 Sprinkle a handful of cheese on each slice to cover the entire slice. Now transfer the slices in the oven and bake for 10-15 minutes till cheese melts. Or place in a lightly buttered pan and cover with lid. Cook this on low flame till cheese melts. 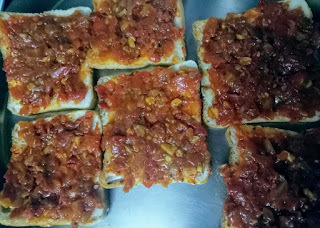 Cut into small squares or strips so that it can be easily picked up and eaten in one bite. I served it along with other items prepared. I had make chicken cutlets, mango custard and rose milk. 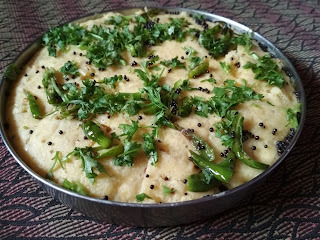 Lets make some delicious home made dhokla today. Khaman Dhokla as it is popularly known is originally a Gujarati breakfast/snack item. It is made using besan, baking soda and curry leaves. This vegetarian snack is a hit at kitty parties and picnics. Its light and spongy, and its addictive taste is the main reason it is relished so much. So come on, make along with me, Farzeen Irani. Note the ingredients below. 1. 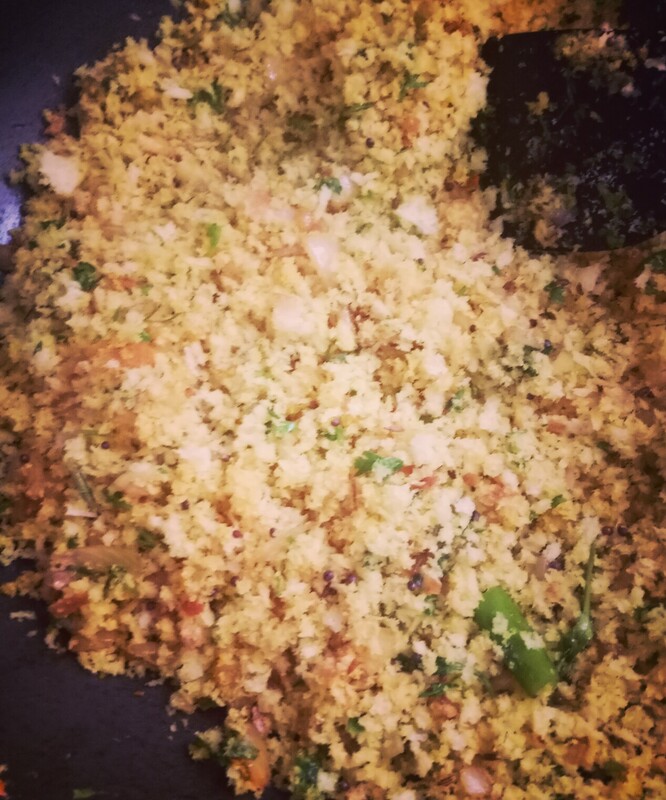 In a bowl, add gram flour, rawa, curd and water. 2. Mix well with a strong hand to make a smooth batter. The batter should be of thick like pancake or dosa batter. 3. Now add sugar salt and set aside for minimum 3 hours covered with a lid. 4. At this stage add the ginger and green chili paste to the batter. 5. Now in small bowl take a tsp of Eno fruit salt, 1tsp oil and lemon juice and mix well. 6. Add this to the batter and mix well. 7. Grease a baking dish that will fit into a cooker or steamer. 8. Pour this batter into the greased pan and steam for 10-12 minutes or till done. 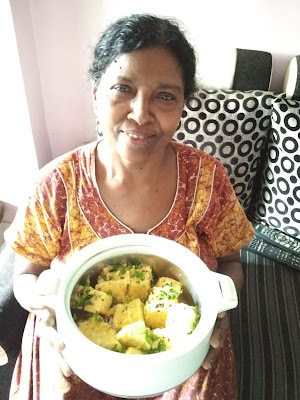 You can poke a knife into the dhokla to check. If the knife comes out clean, its done. 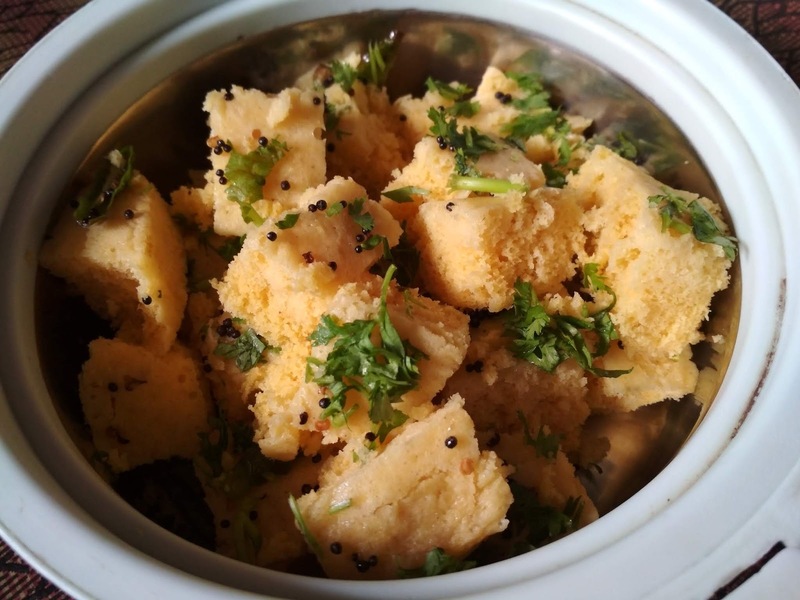 If batter sticks to knife the dhokla is raw. Cool for ten minutes and cut into big cubes. Heat little oil in a small pan and add mustard seeds and curry leaves allow to splutter. Remove and pour it over dhoklas. Garnish with coriander and slit green chilies. Serve it fresh at tea time with green chutney or sauce. 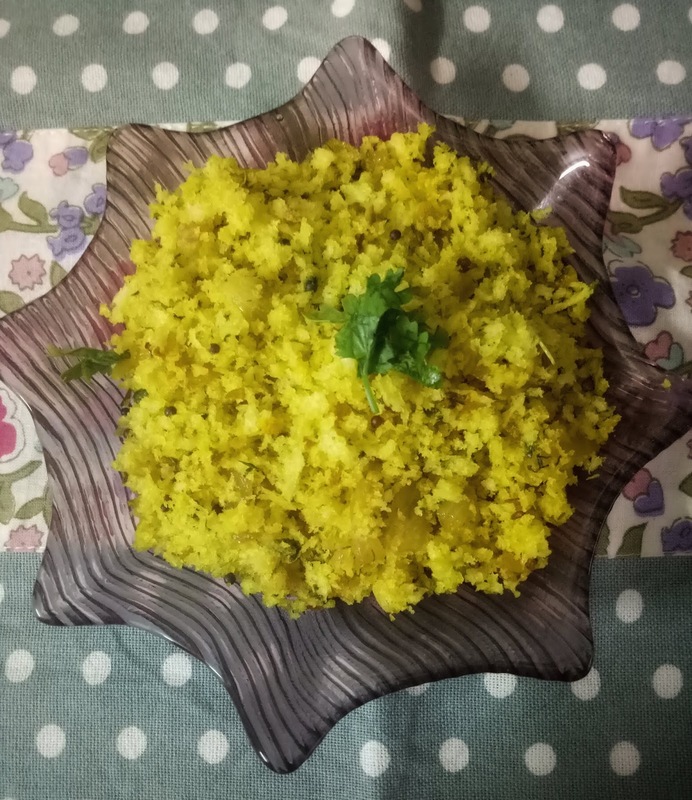 * It makes a lovely snack for tiffin time. Kids will relish it too. * Add more sugar if you like it sweeter. 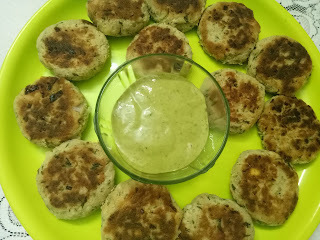 It was always be balanced with green chillies and chutney. * Don’t worry if you don’t get it right the first time, you can keep trying. 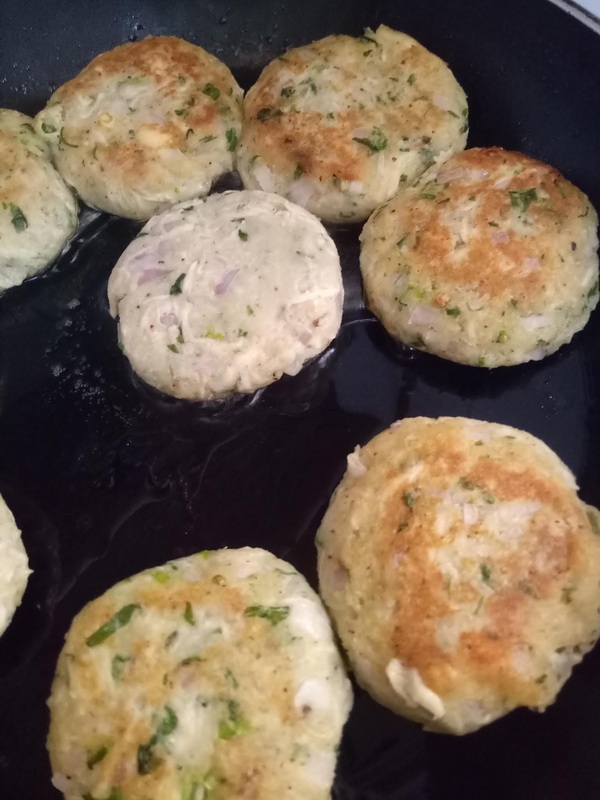 Do let me know in the comments below if you have any other recipe or variation. Would love to get your feedback.